Showing up at a strange airport in a strange country is, for most people, a stressful experience. Luckily, Sihanoukville Airport is so small that there’s almost nothing to worry about. 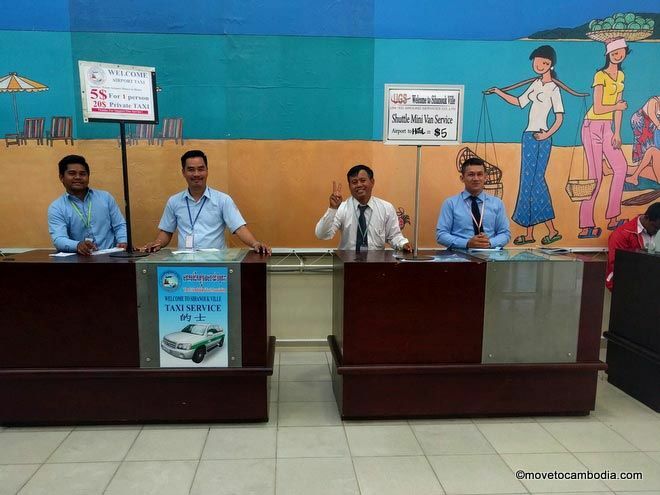 There are limited options for getting from Sihanoukville Airport into town, but it’s best to have an idea in advance of what your plan is. The Sihanoukville Airport is small but perfectly formed. The Sihanoukville Airport is located approximately 12 miles (20km) north of Sihanoukville, on Route 4. Only four planes per week that land there, all of them Cambodia Angkor Air’s Siem Reap to Sihanoukville flights. 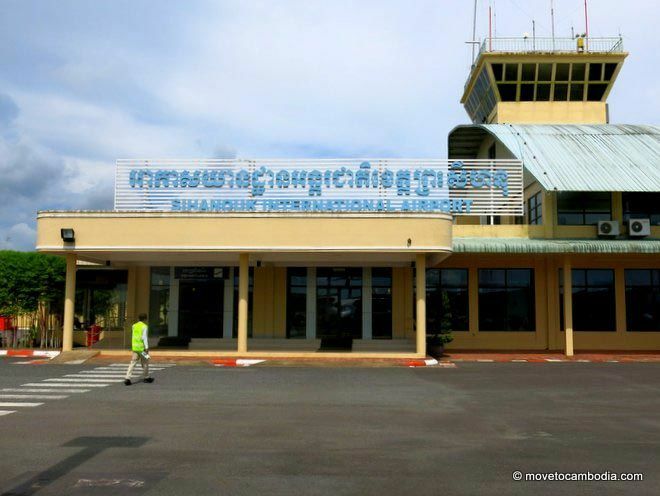 Because there are so few flights, there aren’t a lot of options for getting from the airport into Sihanoukville, and the prices are pretty fixed (and not particularly good value). Sihanoukville is known to have the most extortionate tuk tuk drivers in the country. They’ve formed a “union” which is little more than a mafia that uses price-fixing and extortion of other drivers to keep prices artificially high. For this reason, even if you see a tuk tuk at the airport, we recommend you avoid them. The airport seems to have discontinued the shuttle bus (but if they start it back up again, please leave details in the comments section!). If you have three people or fewer, the best option is a taxi ride share. These eager young gents will guide you to your chariot. Or airport shuttle. Or airport taxi. For the taxi shares, the cost is the same, $5 per person or $20 for the whole taxi. You can buy a ticket at the same ticket counter on the way out of the airport. They will try and push you to buy a whole taxi, but do not budge if you don’t want to. They will make you wait for more passengers and hope that you will give in. The trip to Sihanoukville takes about 20 minutes. 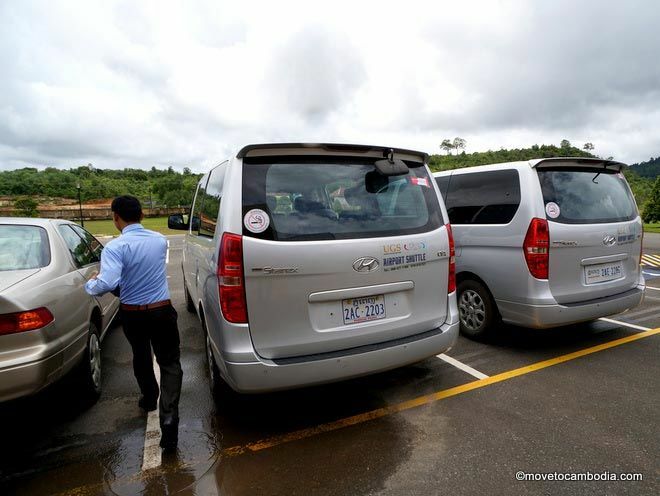 The Sihanoukville Airport shuttle and taxis. Could be worse. If you’re staying on one of the beaches and you already have a hotel booked, you should bring a map or have an idea of where your hotel is before getting in the taxi. We recommend the detailed and free Canby maps, which can be downloaded online or found in many businesses around town. If you have four or more people, you’ll save money by taking a private taxi. The going rate is usually around $20, but they will often ask for more. If you want to save yourself the stress, you can book a taxi online for $25. A few bucks more, but they are new SUVs with more trunk space and no haggling. Make your reservation at least 3 hours in advance. 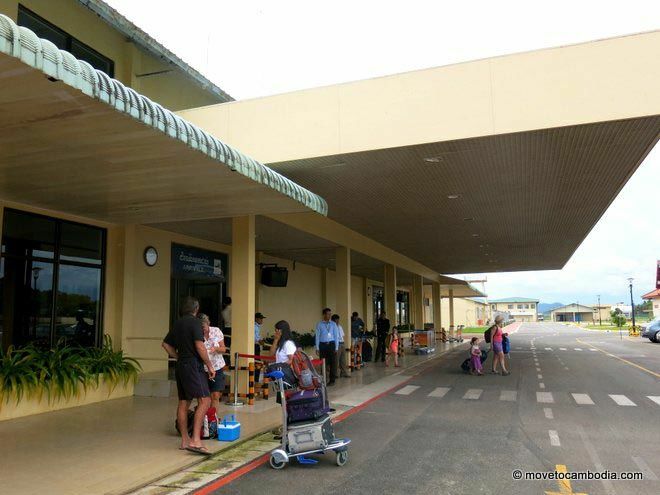 The Sihanoukville Airport arrivals terminal is not particularly busy, with only four incoming flights each week. If you’ve read the above, you can pretty much follow the same directions but in reverse. You can book a taxi at most guesthouses or any local travel agent, I’ve used Best Beach Travel (T: 015 678 924) for $15 or $20. Taxis are older Toyota Camrys and most do not have a lot of trunk space. I’ve included some specific taxi recommendations in the transportation section of the Sihanoukville city guide. You can also opt to book a taxi online (at least three hours in advance). They are $25, but nicer, larger SUVs with more space for luggage. As mentioned above, tuk tuks are usually extortionate in Sihanoukville and are best avoided, but you can usually get a tuk tuk to the airport for $15. This entry was posted in Transportation, Sihanoukville and tagged Best Beach Travel, Sihanoukville Airport, Sihanoukville Airport shuttle, Sihanoukville Airport bus. Bookmark the permalink.